Do you have a favorite sports team whose logo you want to wear? 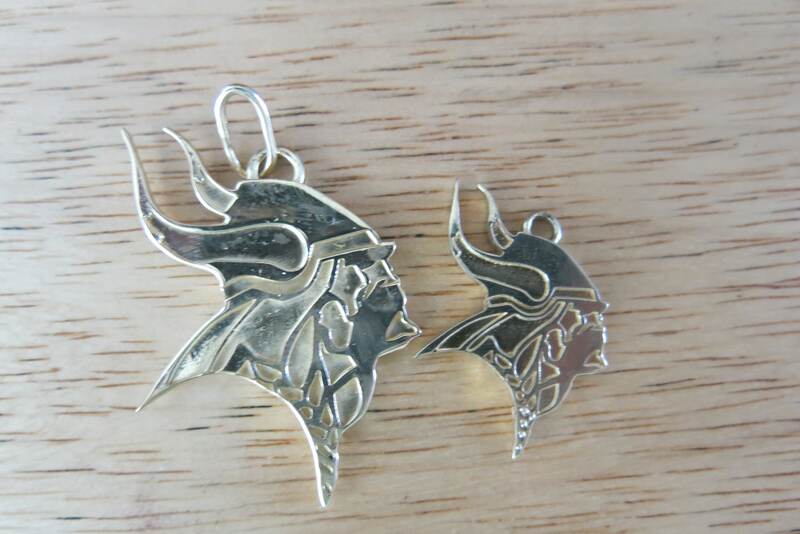 This pair of Minnesota Vikings Pendants was made for a fan in Hawaii to remind him of the cold he left behind! Team Logo Pendants & Custom Hip Hop Pendants are my specialty…contact me to discuss your idea. 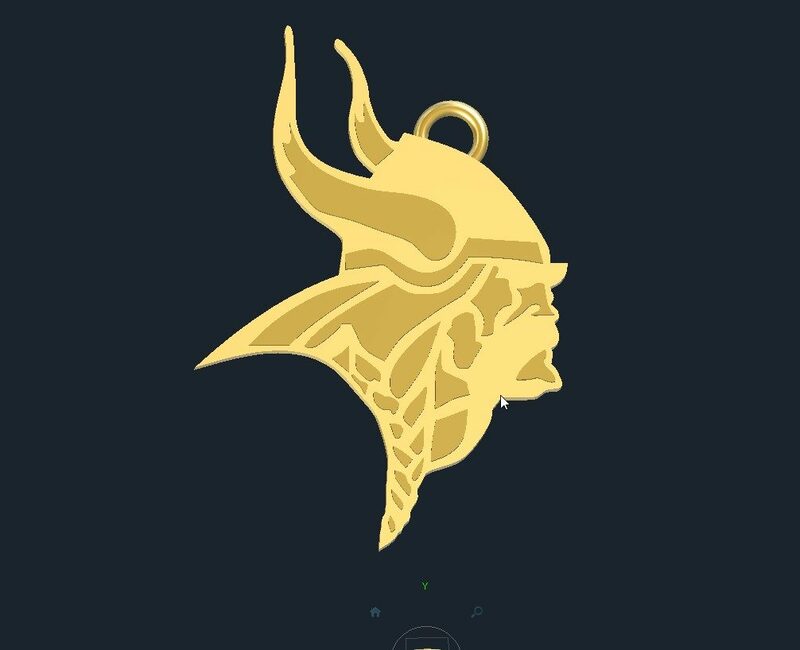 I can create custom team logo pendants up to 3.25 inches wide or tall in Sterling or Argentium Silver, white, yellow, or rose Gold, Palladium or Platinum. I can use a wide variety of stones to meet any budget as well. Click HERE to see another custom pendant design.